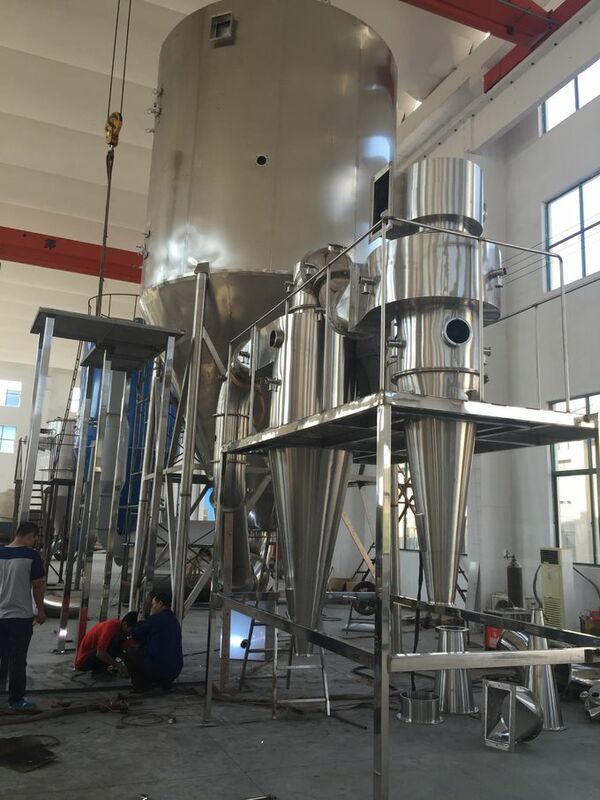 LPG series Spray drying Machine is a technology most widely used in the liquid technology shaping and in the drying industry. 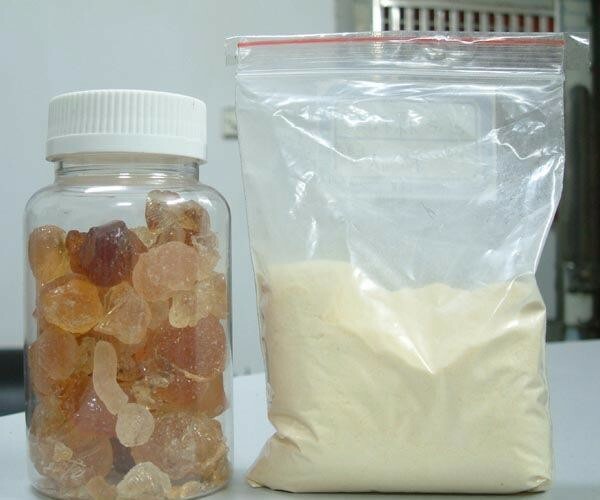 The drying technology is most suitable for producing solid powder or particle products from liquid materials, such as solution , emulsion, suspension and pumpable paste states, For this reason, when the particle size and distribution of the final products, residual water contents, mass density and the particle shape must meet the precise standard, spray drying is one of the most desired technologies. Atomizer is the most important accessory in spray drying machine, it is used fordrying LIQUID state into SPRAY state at a high speed rotation motions, usually can reach 18000~25000 rpm, Our company has adopt Chinese Specilalzied Supplier, can ensure customers for 2 years warranty period. After been filtered and heated the air enters into the air distributor on the top of the dryer .The hot air enters into the drying room in the spiral form and uniformly. Passing through the high-speed centrifugal sprayer on the top of the tower, the material liquid will rotate and be sprayed into the extremely fine mist liquid beads .Through the very short time of contacting the heat air, the materials can be dried into the final products .The final products will be discharged continuously from the bottom of the drying tower and from the cyclones. The waste gas will be discharged from blower. The drying speed is high when the material liquid is atomized , the surface area of the material will increase greatly .In the hot-air flow,95%-98% of water can be evaporated within only seconds.More suitable for drying the heat sensitive materials. Spray Drying Machine final products own the advantages of good uniformity, flow ability & solubility. Also high in purity and good in quality. The production procedures are simple and the operation and control are easy .The liquid with moisture contents of 40-60% (for special materials, the contents might be up to 90 %.) can be dried into the powder or particle products once a time. 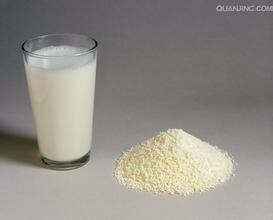 After the drying process, there is no need for smashing and sorting, so as to reduce the operation procedures in the production and to enhance the product purity .The product particle diameters, looseness and water contents can be adjusted through changing the operation condition within a certain range. It is very convenient to carry out control and management .